3) the subtitles...What God Does, What We Can Do. I immediately purchased it and took it home. I loved the way President Nelson has divided this into sections that clearly define our role and what God does for us. So many times in life, we wonder what can be done or how do I solve a certain problem. 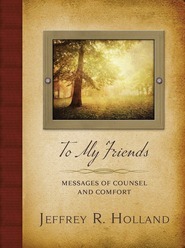 This book is filled with strong spiritual counsel that brings hope and peace. This is definitely one of those books that I will refer to often. I don’t often write reviews, but I felt this book was worth an exception. It is written in an intimate, conversational tone that made me feel as if I were listening to Elder Nelson having a conversation with me as if I were a family member or friend. Indeed, I heard his voice as I read the words and I felt his love and warmth. And, as is to be expected from the title, I felt inspired and renewed as I read his message contained in this book. It is definitely worth the time to read!